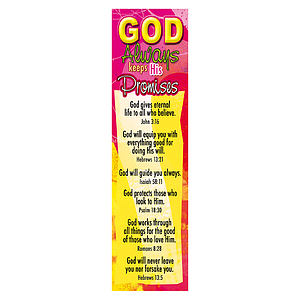 "God's Promises" Bookmarks - Pack of 10 was published by Christian Art Gifts in January 2001 and is our 212th best seller. The ISBN for "God's Promises" Bookmarks - Pack of 10 is 6006937092006. I find this Bookmark a great source of Hope. In this day and age we all need to remember God's Promises to us. I give these Bookmarks out to other people I meet to give encouragement and As a reminder of God's love for us. These bookmarks were bought in bulk to give away, so the packs of 10 were a great option. The postage costs were also very competitive. The bookmarks themselves are very attractive with well chosen, clear verses.They have a gloss front and plain back, allowing me to stamp the church contact details on them. The size and quality provides super value for the price. I was really pleased with them and so were the recipients. Got a question? No problem! 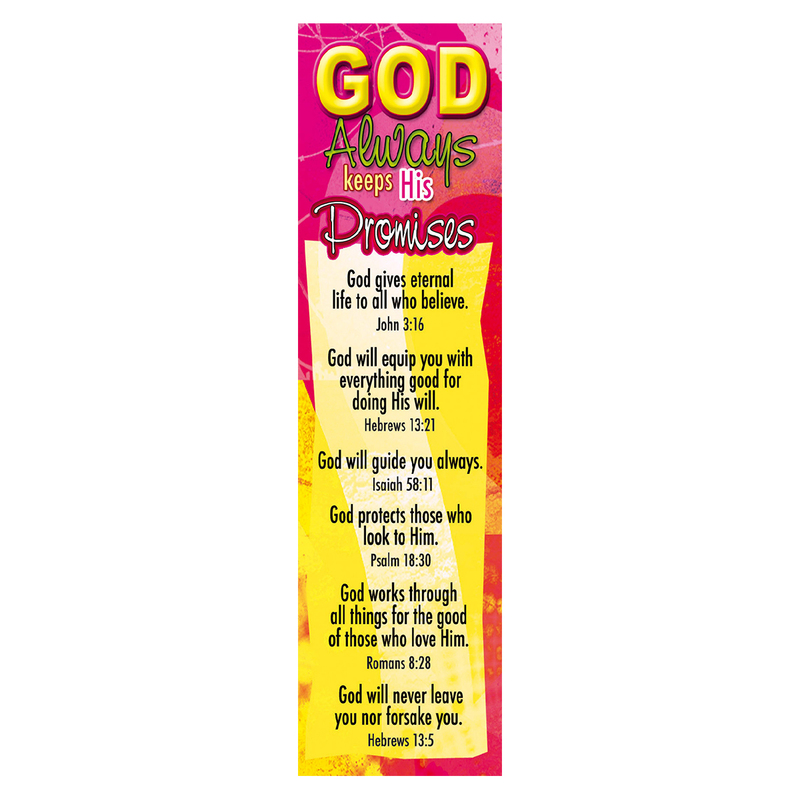 Just click here to ask us about "God's Promises" Bookmarks - Pack of 10.